Another fresh preview build for Windows 10 has rolled out to the fast ring, and while there are no massive changes, it includes some useful tweaks on the security front, as well as to Narrator, the screen reading tool built into the operating system. Build 18309 (for the update which will land in the first half of this year, or 19H1 as it’s referred to) makes some adjustments to security, including pushing forward with the concept of the password-less PC. Remember in the last build (18305) that Microsoft introduced the ability to sign in to Windows 10 using your smartphone rather than having to type in a password? That works by linking your Microsoft account to your phone, then setting up a ‘password-less phone number account’, but the ability to do this was only available to testers running Windows 10 Home. 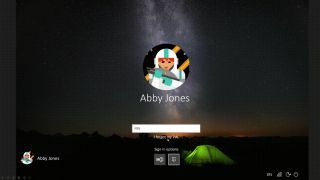 Now, testers using any version of Windows 10 will be able to benefit from password-less logins. While we’re talking security, the same is true of the Windows Hello PIN reset process, which was tweaked and streamlined in the last build, and is now also available across all versions of Windows 10 (and not just testers with Windows 10 Home). Microsoft has been working on new accessibility tricks for some time now, and Narrator has witnessed a raft of improvements in this build. That includes the ability to add new voices in other languages without having to go through the trouble of downloading language packs. This is facilitated in Narrator Settings, using the Add More Voices option. Narrator’s Home menu has also been tweaked so that the main actions the user can take aren’t list-view items now, but have been turned into buttons (which is more convenient, plus you get the ability to tab between them). Various other tweaks include better table reading when in PowerPoint, improved reading of controls while you’re navigating around the OS in general, and better interaction between Chrome and Narrator, both when it comes to navigating the browser’s menu, and surfing the web. Also on the ease of access front, Microsoft has added 11 new mouse pointer sizes under Cursor and Pointers settings, to make for 15 choices in total. As ever, a number of other fixes have been applied to cure glitches and bugs, including a crashing issue which occurred when using an Xbox controller with the PC. The new Windows Sandbox (another feature introduced in the last build which allows you to quickly fire up an isolated environment to open a potentially suspect file) also got some tuning, with a compatibility issue fixed – a clash with update KB4483214 – and better support for high DPI displays. Also worth noting is the fact that when installing Windows 10 Pro, Enterprise or Education editions, Cortana’s voiceover has been disabled by default, as requested by user feedback. The voice assistant will still be present when setting up Windows 10 Home from scratch, though. Microsoft also took the time to remind folks that this is an early build in the development cycle of the 19H1 update, and so those who aren’t comfortable with the likely appearance of bugs might want to switch from the fast ring to the slow ring (which deploys builds further down the line when they’ve been tested more).